Mobile networks in the US are far more advanced than across Europe, according to the mobile operator association GSMA. A report from the group claimed the speed of data networks across the Atlantic were 75% faster than in countries in the European Union and predicted this gulf would continue to widen. The US is also deploying 4G networks at a much quicker pace than their European counterparts. By the end of 2013, the GSMA expects 19% of connections in the US to be over 4G networks; but it predicted less than 2% would be accessing those faster speeds in Europe. “Europe was the birthplace of mobile, with a wide range of companies pioneering the innovation that now benefits more than 3.2 billion men and women around the world,” said Anne Bouverot, director general of GSMA. “However, this report confirms the very sobering reality that Europe has lost its edge in mobile and is significantly under-performing other advanced economies, including the US." This difference in speed and performance has led to the US customers using five times as many voice minutes and twice as much data than customers in the EU. However, the EU did win out on price for mobile wireless services, paying much less than their American cousins. But how can Europe start to catch up with the US and improve mobile performance? Jeffrey Eisenach, managing director of analyst firm Navigant Economics, said it was partly down to the regulators to fix. “While there are several factors leading to this divergent performance, it can be partially attributed to the relatively inefficient structure of mobile markets in Europe,” he said. 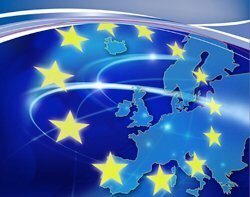 The report recommended the EU began to focus on encouraging innovation in the mobile industry, rather than focusing on regulating prices, and to push forward spectrum allocation for next-generation networks. The GSMA also suggested an easing of bureaucracy around mergers between mobile operators to help consolidate the market across the continent and to "establish a light-touch, simplified approach to pan-European regulation". Bouverot concluded: "We believe that undertaking these major policy reforms is essential in re-establishing the leadership of Europe in mobile, driving new growth and investment in our industry and, more importantly, generating important socio-economic benefits for citizens across the EU." What a load of codswallop! I work in Europe and the US and frankly I know which consumers feel better off. It's not the US. The networks are not very universal over the US continent, whereas EU citizens generally have very little problem roaming, the US carriers charge a fortune for services and handsets, love to lock you in and foist bloatware on you, and their flexibility on pre paid services, consumer mobility between carriers and contracts is only just starting to catch up with the EU. 4G is over rated, the latest 3G and double HSDPA networks are almost as fast. The EU regulation has worked.